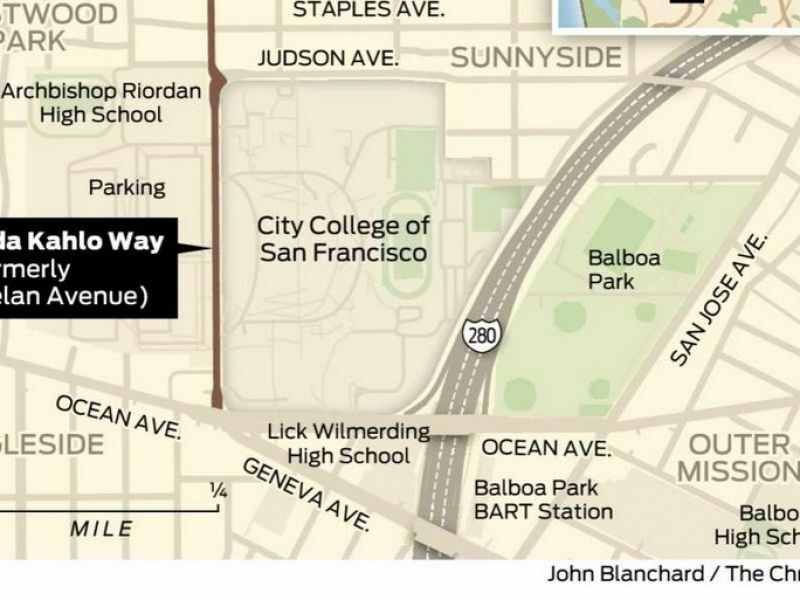 Phelan Avenue, a short stretch of roadway lining the west side of City College of San Francisco’s Ocean Campus, will be rechristened as Frida Kahlo Way following a unanimous vote by the Board of Supervisors on Tuesday. The street extends for less than half a mile from Ocean Avenue north to Flood Avenue in the Ingleside neighborhood. It was named after James Phelan, a 19th century real estate and wheat mogul, around 1906. But over the years it has become more closely associated with Phelan’s son, James Duval Phelan, who served as San Francisco’s mayor from 1897 to 1902 and later in the U.S. Senate. To some, having the Phelan name on the street was a tacit endorsement of a racist stain on San Francisco’s history. “We must know our history in order to not repeat the mistakes of our past,” said Supervisor Norman Yee, who represents the Ingleside and introduced the resolution to change the name. 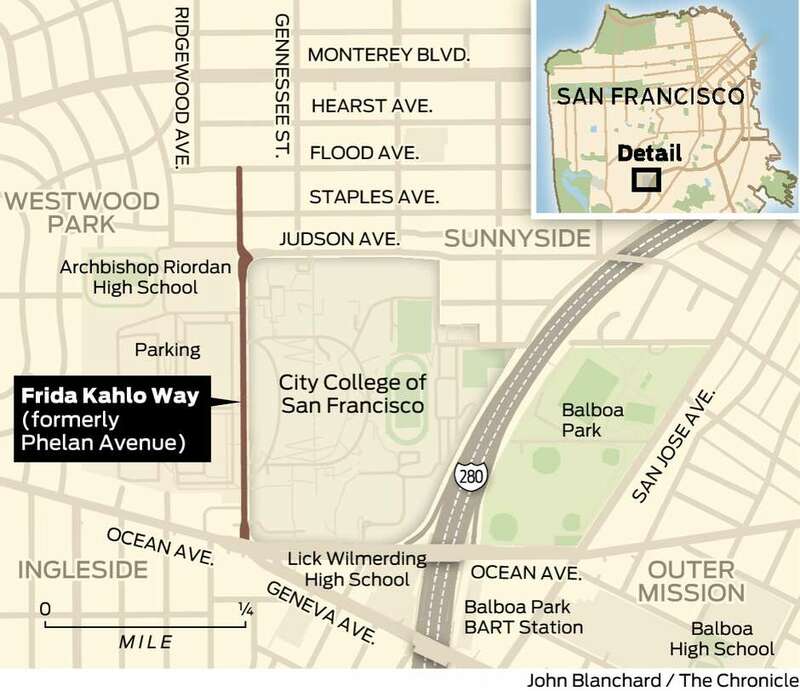 Yee’s office also organized an outreach campaign soliciting public input on what the street ought to be called. Stripping the Phelan name is the latest instance of San Francisco taking steps to remove reminders of the darker side of its history.